Couples that slay together, stay together! 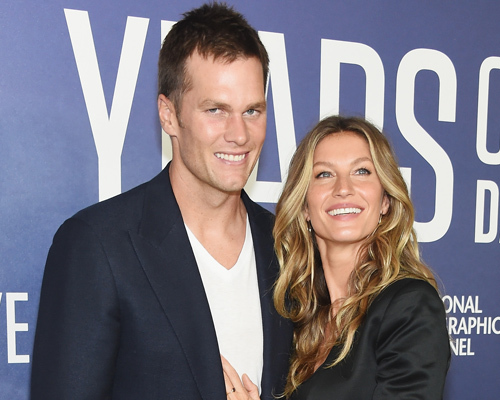 Tom Brady and Gisele Bundchen slayed Halloween this year with the weirdest costume combo, but we’re totally into it. The couple, who have been married since 2009, are known for being totally supportive of one another and being very present in their children’s lives, which was very apparent this Halloween. Brady decided to go a little animalistic with his costume, while his wife catered towards their son’s costume idea. The New England Patriots quarterback got a little weird with his ode to Big Foot on Monday. He even posed like the elusive creature while walking through his backyard… snatching his dog up along the way. "What's more Halloween than a Big Foot sighting in your own backyard? Have a safe night everyone!" Brady captioned his wild costume photo. "PS - Hope he doesn't eat Fluffy ." While her husband was getting in touch with his beast side, Bunchen was trying to help her son Benjamin complete his costume, which led to her dressing up as his other half. Ben went as Mario and Bundchen took one for the team by wearing a Luigi costume. "When your son wants to be super Mario but no one wants to be Luigi. This is what you do.  O que você faz quando seu filho quer ser o super Mario e ninguém quer ser o Luigi. #halloween #happyhalloween," the supermodel captioned the cute photo. These costumes couldn’t be any more different, but they are equally as awesome. We’re definitely going to have to give these two major parent points for going all out with their costumes. We do however still want to see what the couple’s daughter, Vivian, dressed up as since she wore a Princess Elsa costume while cheering on her dad and the Patriots earlier this year. She’s so cute, we wonder what she wore?! What do you think about Brady and Bunchen’s Halloween costumes? Which one was the best?